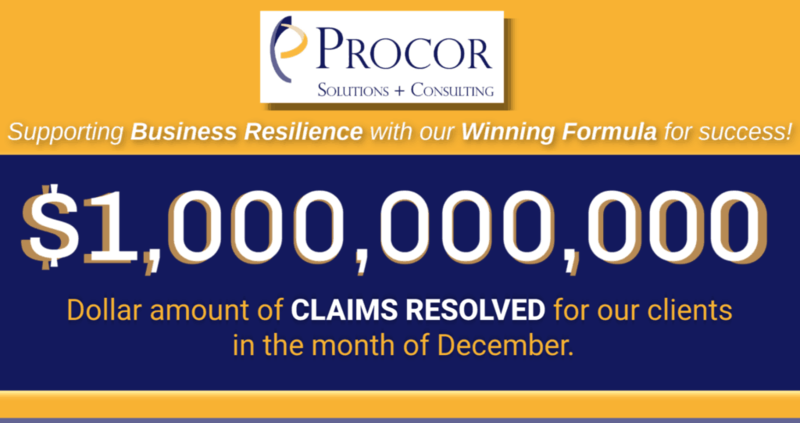 It was a “December to Remember” for Procor Solutions + Consulting, whose teammates successfully resolved claims for more than $1 Billion in the final month of 2018. No, that is not a typo –in fact, three significant matters were resolved in excess of $1 Billion, all in one month! Procor provides pre-loss evaluations and planning, combined with post-loss expert claims and forensic support, offering clients end-to-end service and support that is unmatched in our industry.